For almost two hundred years, trains have ridden the rails, driven by, loud, and powerful locomotives. Born of the Industrial Revolution, they were the fulfillment of the continent spanning dreams of their creators. To solve the transportation problems of today, some would return to a model that no longer exists. Tubular Rail is a refinement, not a return. 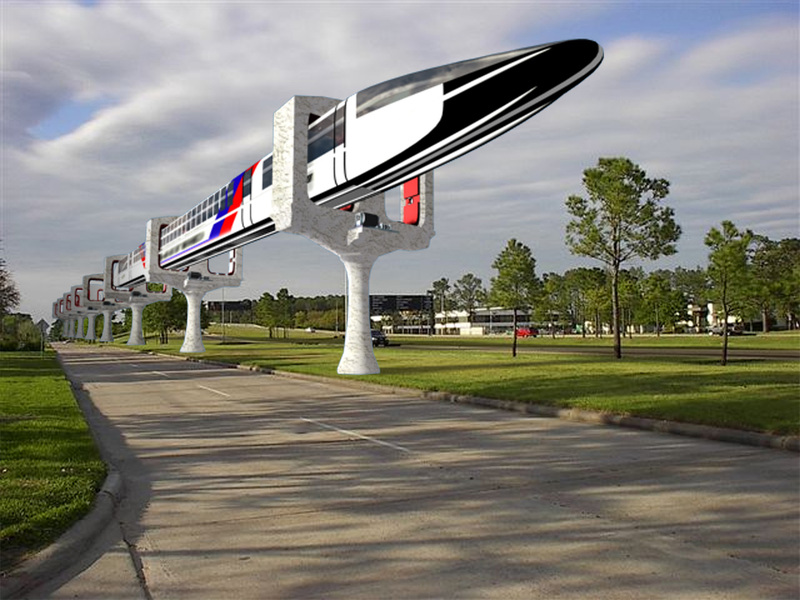 The result of this admittedly unconventional approach was the invention of the Tubular Rail concept � a radically innovative solution to the ever worsening problems of traffic congestion, airport overcrowding, gruesome political battles over transit needs, elevating construction costs, and growing environmental blight. Fully developed, Tubular Rail's market would rival that of the Airlines and change the city scape of a nation and more.